Predictive Analytics (2016) provides a helpful introduction to a complex and fascinating field. Learn how data gets crunched so that people can make more informed decisions, a practice that has drastically altered the way the world conducts its research and runs its businesses. Siegel offers an enlightening glimpse at the wide-ranging areas that have been forever changed, from marketing to health care, banking to artificial intelligence. 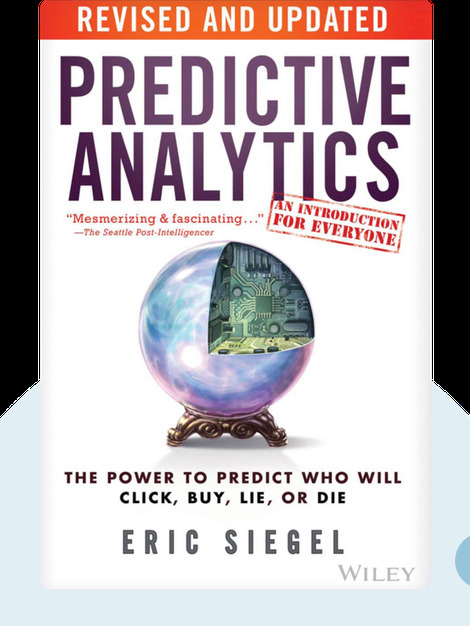 Eric Siegel is a world-renowned leader in the field of predictive analytics and the founder of the Predictive Analytics World Conference Series. A former Columbia University professor, he’s also the executive editor of the Predictive Analytics Times. 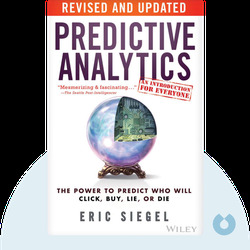 © Eric Siegel: Predictive Analytics copyright 2016, John Wiley & Sons Inc. Used by permission of John Wiley & Sons Inc. and shall not be made available to any unauthorized third parties.